Phishing Attacks look like a genuine email message from someone that looks like a trusted sender, like your bank for example, which contain a link to click on to take you to the web site where you will be asked to type in personal information such as your account number or credit card details, or any other personal information. Common frauds are already blocked by Libra Esva as spam or phishing messages, this check helps you alerting your users with ‘unsafe’ links. These links are those where the real address of the link in the message is not the same as the text that appears to be the link; or are simply numeric links, very hard to understand. 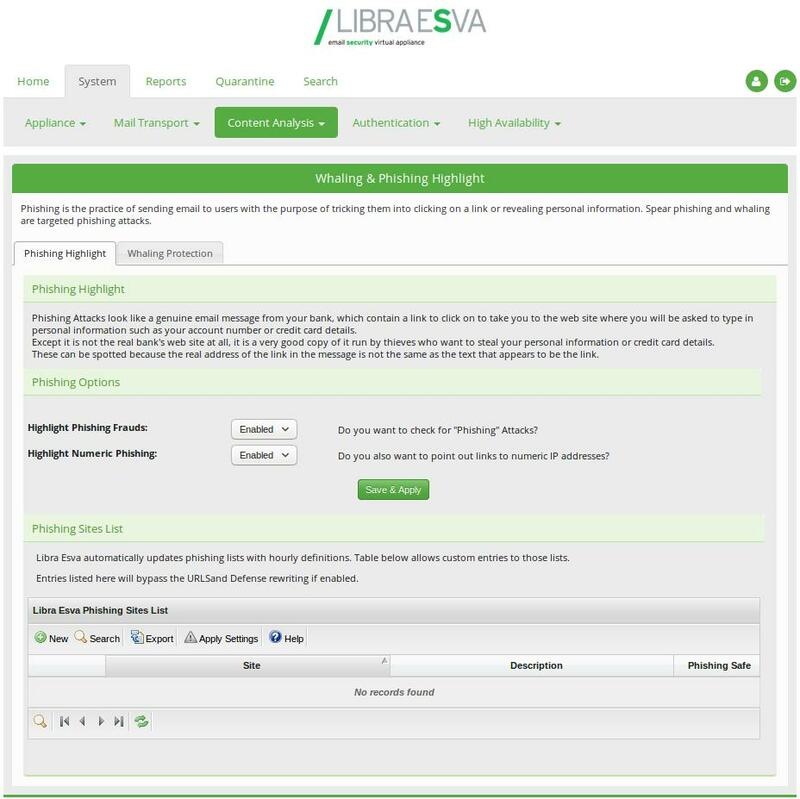 When these settings are enabled and Libra Esva finds an unsafe link, will simply prepend a red string alerting the user about the following link. 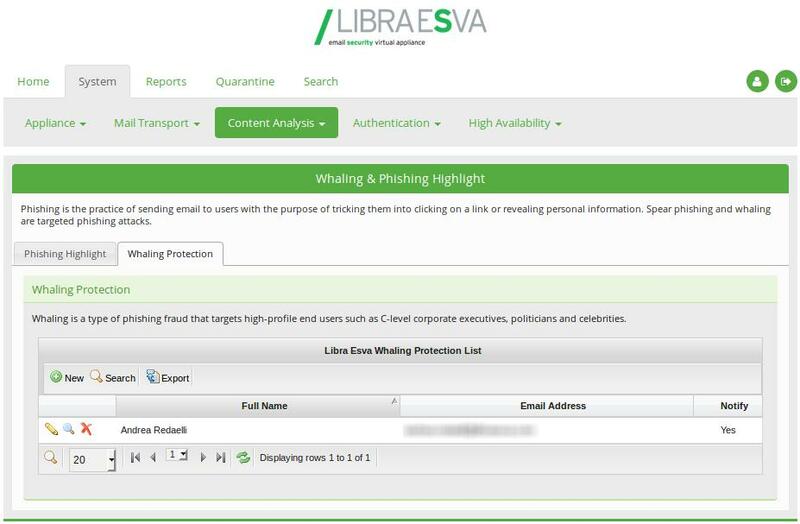 Libra Esva keeps a regular updated list of known Bad Phishing sites and Safe Phishing sites, but for obvious reasons these lists cannot be comprehensive of all cases. For this reason it is possible add custom entries to avoid inline Phishing Warnings for safe sites, like for example intranet websites. Or you can explicit add Bad Phishing Sites. NOTE: You can customize the inline warning string from menù System->Logo and Messages Customization. Whaling is a type of phishing fraud that targets high-profile end users such as C-level corporate executives, politicians and celebrities. You can also configure an email notification to the recipient target of the Whaling attempt.